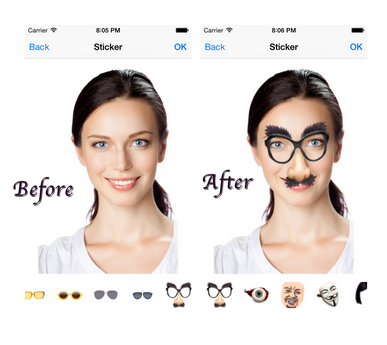 Are you looking for Funny Photo Editor Apps for your iPhone ? If yes, this article can help you to find some great fun apps which allow iPhone users to create #funny photos easily on their device. Here you can see some great fun apps which lets you make funny photos and share them on social networks. Try these prank apps on your iPhone. 1. MixBooth ( For #iPhone & iPad ) - MixBooth is one of the best fun photo maker apps on the Appstore that lets you make new faces by mixing two different faces. Great way to generate new faces to make someone smile. With this app, you can easily change your face totally. Very useful fun photo maker that lets you create amazing photos. You can add photos of popular celebrities to look like a celebrity. 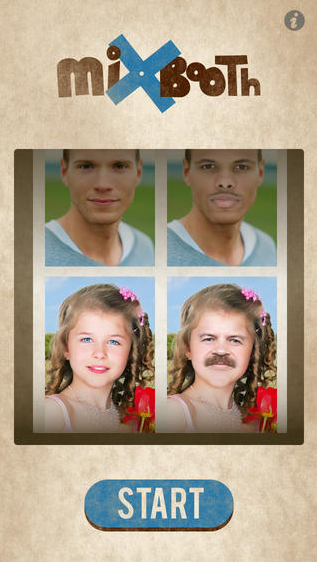 MixBooth automatically adjust skin color to make any face perfect. The app also helps you share photos with your friends on social sites. 2. BaldBooth ( For iPhone & iPad ) - BaldBooth is a great fun photo app that lets you make your photos very funny. 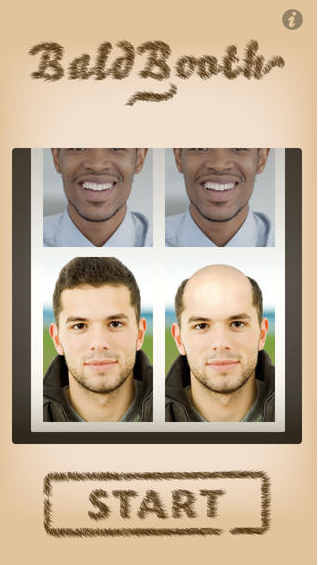 With the help of BaldBooth, you can make someone bald easily in just few seconds. If you want to make someone laugh, just show your bald face or bald faces of your friends. The app generates realistic bald faces. You can also share your funny photographs on social networking sites like Facebook, Twitter etc. If you haven't tried this app yet, you must install this app to make lots of funny photos. 3. 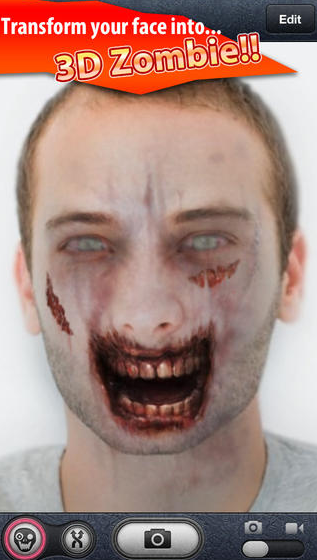 ZombieBooth ( For iPhone only ) - ZombieBooth is a great prank photo app for making funny and horror photos. If you want to scare someone or make someone smile, just install this app on your iPhone. Just capture photo of your friend using this app and make him/her ghost. The app creates animated horror faces that can be used to scare someone. If you touch on the face of zombie, the zombie also responds with some horror sounds. Great prank photo app for iPhone users. The app uses extremely horror images so you shouldn't use this app before any child or any fainthearted person. 4. PicZone ( iPhone & iPad ) - Piczone is a photo editing app that comes with lots of funny stickers which can be used to make your photos funny. By using this app, you can make lots of funny photos. The app also helps you edit and enhance your photos. The app comes with lots of image editing tools which help you to add different types of photo effects, filters, adjust color, crop unwanted area, focus & blur selected spot, resize photo quality, add emoticons and text effects. 5. 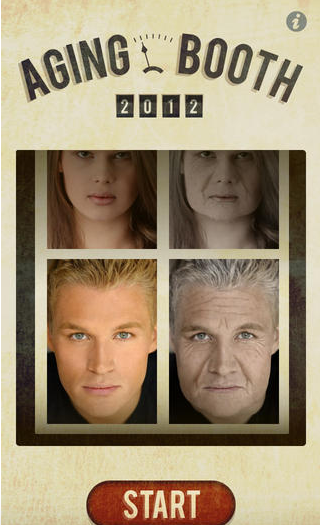 AgingBooth ( For iPhone & iPad ) - AgingBooth is a great fun photo maker that lets you view what you would look when you're old. The app adds realistic age effects on your face, so if you want to make someone laugh or scare, you can try this app to show him/her future face. If you want to make your photos more funny , first convert your faces by using BaldBooth or MixBooth and then use those images in this app to make faces more funny. Very useful funny app for iOS users. 6. PlaceMyFace ( iPhone & iPad ) - PlaceMyFace is a useful fun photo maker that allows you to fool your friends. 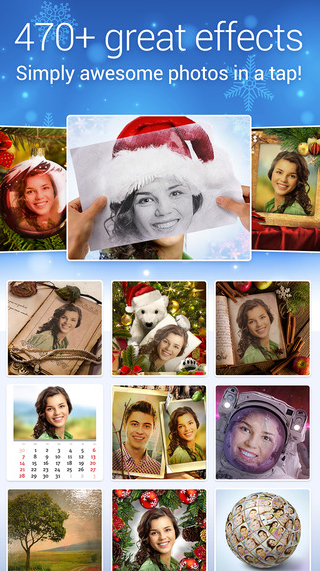 The app comes with more than 100 readymade templates where you can place your face to generate realistic photos. 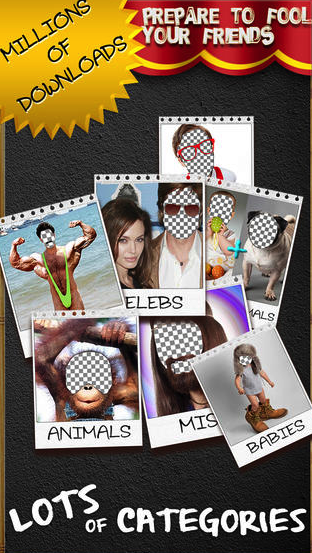 Great fun photo maker that lets you put your face or friends' faces on different bodies. The app lets you become anyone to have lots of fun. The app also allows you to share your funny photos via email or Facebook and Twitter. 7. Pho.to Lab ( For iPhone & iPad ) - Pho.to Lab is one of the best fun photo editor that comes with tons of photo effects and readymade funny templates. The app includes a powerful image editing tool and more than 470 photo effects which can be used to make lots of funny photos easily. The app has lots of features such as fun photo templates, beautiful image borders and frames, stylish photo effects, fun faces templates, magazine cover templates, collage maker tool, editor and more. Great free fun photo app for iOS users. 8. Faceswap ( iPhone Only ) - Great prank app to create laughable photos. The app automatically creates fun photos by swapping faces. 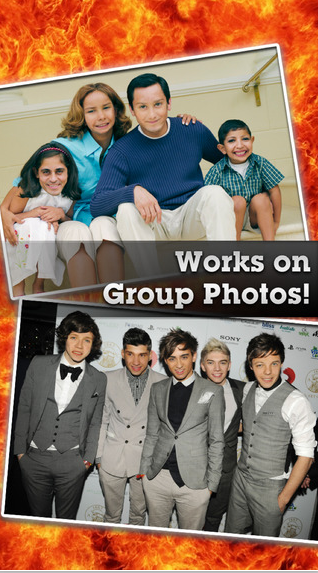 The app is perfect prank photo app for group photos because the app automatically detects faces and change the faces by swapping them. If you want to create very funny photos of your face or faces of your friends.